As the sun falls, the seagulls, which have been the only birds I’ve seen, are joined by some swifts darting into the facade of nearby buildings and a trio of hawks or maybe kites: rather drab, but with that athletic sharp-banked twisting flight. The wide beach has a cold-looking tumbling surf but there are no surfers, at least tonight. Finally I see some seabirds beyond gulls — a trio of pelicans riding the ground-effect of the waves and an ill-defined flock of diving seabirds I can’t see well in the heavy glare. I have beheld a Peruvian booby! I love boobies! And not just because of the name; they are elegant flyers (but mostly because of the name). I have now seen every booby but one — the blue-footed. As we leave Choros, an Ibis lifts heavily out of the grass and flies alongside the bus for a hundred yards. It’s head is a lovely complex of curves. I saw a seagull near the supermarket that looked like it was cross-bred with an albatross. It had long thin pointed wings like an ocean cruiser. I’m pretty sure it was just a seagull, but a fine Antipodean gull cut out for scavenging dumpsters off Cape Horn. Condors ride thermals, and thermals are bad for seeing, so when the condors are at the observatory, the astronomers curse. It’s funny how shorebirds seem to be globally distributed. I’ve seen phalaropes, curlews, plovers, and what looked like an oystercatcher — whether they are local species or the same as California I don’t know. 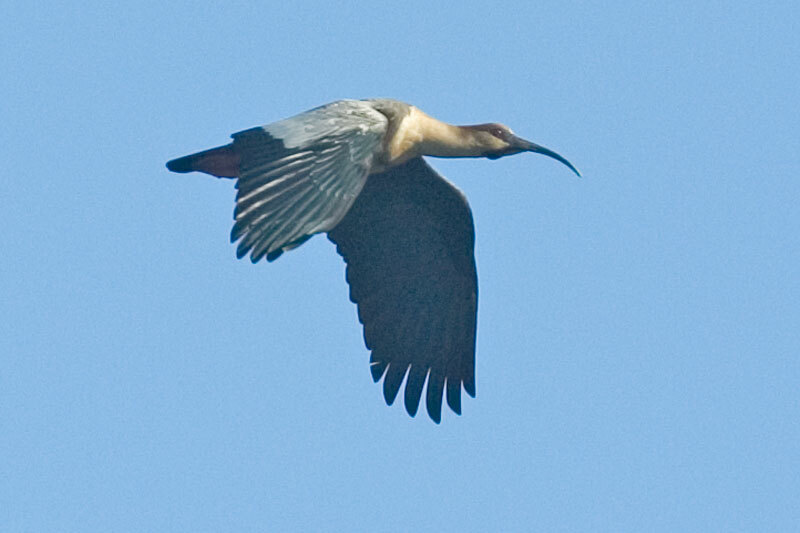 A bay at Isla Dama is named after a “scissor bird” which sounds like a skimmer — a bird that flies at high speed with its beak splitting the ocean surface, trying to spear a sunning fish. I’ve always wanted to see a skimmer. I don’t on this trip.